Podcast 148 - Get Me a Fresh Brain! Today’s episode of Dragon’s Demize is all about mad science, with a review of Get Me a Fresh Brain! In this game, designed by Sean Scott Garrity and published by Baksha Games, 2-6 players race to build a monster that will destroy the town! Players control Doctors, who earn money, and Assistants, who buy various fresh (or not so fresh) body parts for use in creating the monsters. Once a monster has been created, it’s a mad dash to see who can destroy a majority of the buildings in town. 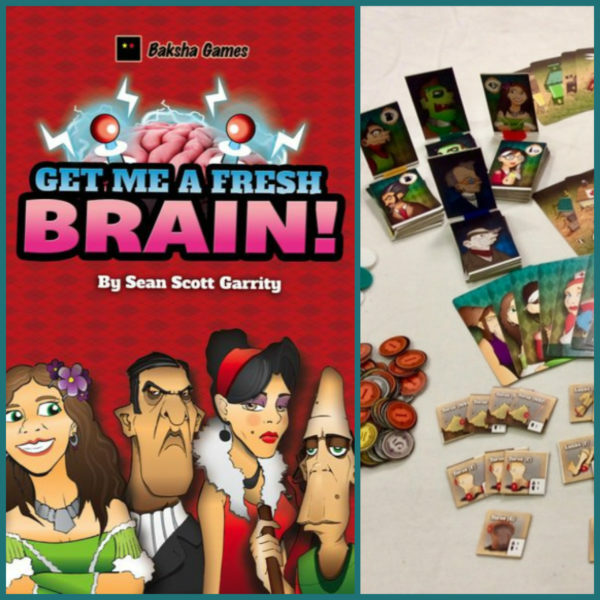 For our full thoughts on Get Me a Fresh Brain! check out the podcast. We also talk about What We’ve Been Playing lately, including the devilishly puzzling The Mind and Quiddler, a game that plays like if Scrabble and Gin Rummy had a baby. Plus we finally got around to playing Dragon Castle now that we have the full set of correct tiles (shout out to Horrible Games for supplying replacement components). In addition to our weekly podcast, we also produce a series of how to play videos called Board Game Bistro. Our latest video teaches you how to play Wingspan, and we think you should check it out! You can find it on our YouTube channel. Thank you as always to O Abnormal and Agata Poniatowski for the artwork and Strangelette for the music. If you enjoyed this episode and would like to support Dragon’s Demize, please consider joining us on Patreon. You can also subscribe to us on Twitch, where we stream every Wednesday and Friday. We’re active on Facebook, Twitter, Instagram, and Discord, so you can join us on your platform of choice.